The 1958 Mint Set was the last set issued in the old-style cardboard holders. Beginning in 1959, the coins in Mint Sets were sold in flat pliofilm holders similar to the Proof Set holders. About the sets: The official ordering period for 1958 Mint Sets ran from January 1 to March 31, 1959. Orders were limited to one set per person. 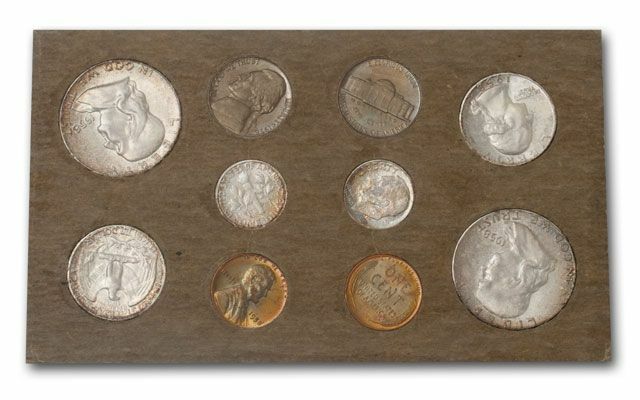 The coins in the 1958 Mint Sets were Uncirculated pieces pulled from regular production runs, so the quality of the individual coins varies widely from set to set, and even within a set. 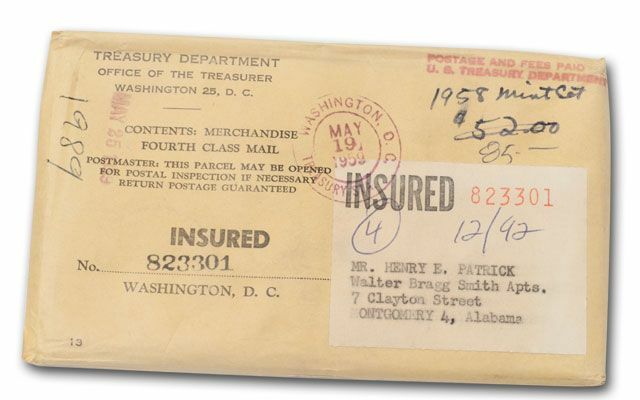 Original packaging: The government-issued holders for the 1958 Mint Set consisted of thick cardboard rectangles with attached paper flaps, that separated the cards from each other, and helped to protect the coins. 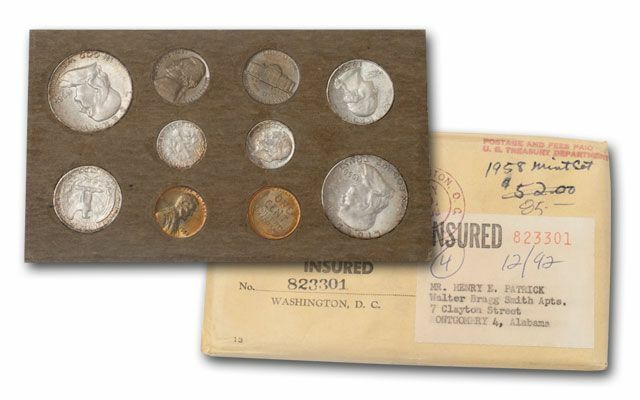 Individual coins were inserted into precut holes of the proper size, then the sets were assembled and placed into paper envelopes for mailing and storage. Because the cardboard, paper, and envelopes all contained sulfur, many of the coins found in the original packaging will show varying degrees of tarnishing (or toning). This toning is often referred to as "Mint Set" toning. Individual coins or sets with attractive "Mint Set" toning will often bring big premiums over the price of a regular set. Elvis Presley entered the Army. The Hula Hoop was introduced. The cost of a First Class stamp rose from 3 cents to 4 cents. Nikita Kruschev became the Premier of the Soviet Union. General Charles de Gaulle became Premier of France, then was elected President of the 5th French Republic.